On the top you can see the view of four lakes and Alpine chain. If the weather is good, you can see the Pianura Padana (Po Valley) and the tallest buildings in Milan as well. The climb winds in the Regional Park of Monte Campo dei Fiori. Length 8.6 km – 5.3 mi, avg. 8%, max. 13%. 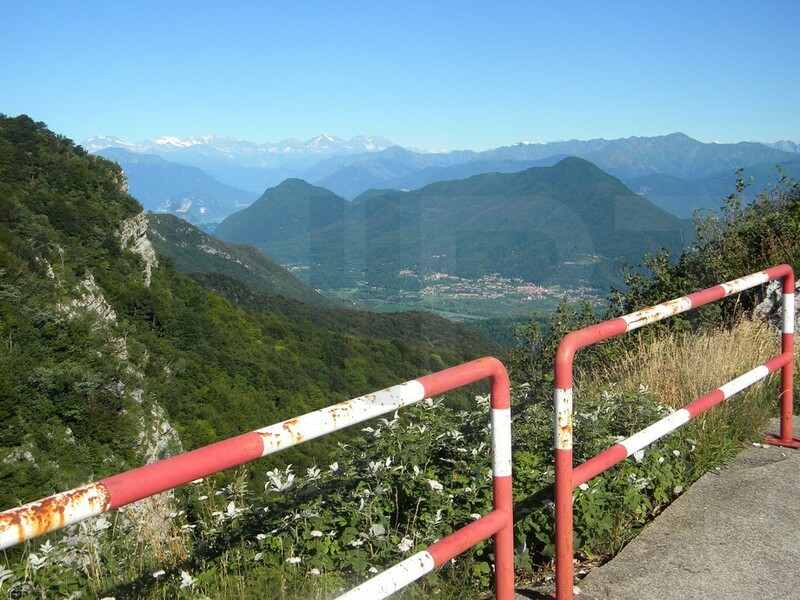 After 4.4 km there is the fork: on the right you can climb up toward Santa Maria del Monte (1 km again), on the left you can carry on toward the top. Monte Campo dei Fiori from Biandronno village on Lake Varese. The bridge of the funicular railway which connects the Sacro Monte di Varese. Climbing up to the summit of Monte Campo dei Fiori. 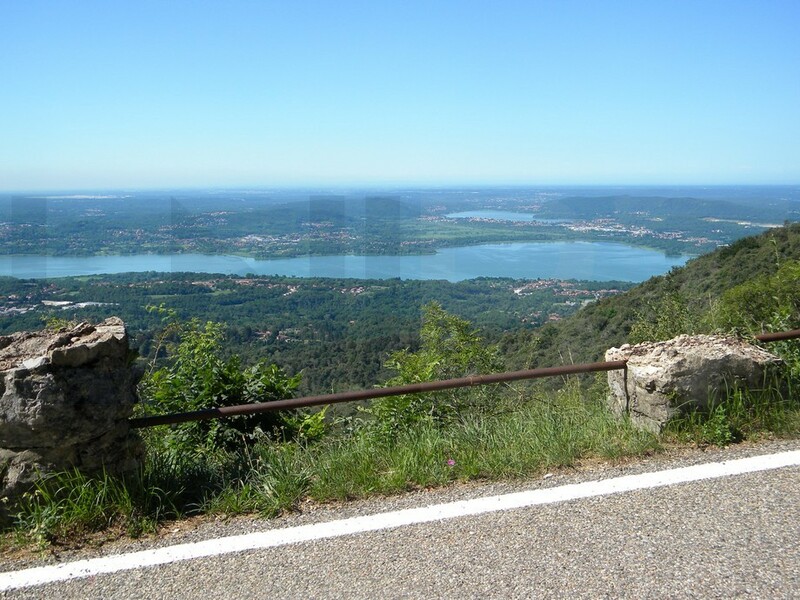 You can see Lake Varese and Lake Comabbio in the distance. The lighter green spot in the higher part at the left side of the photo is the Malpensa airport. 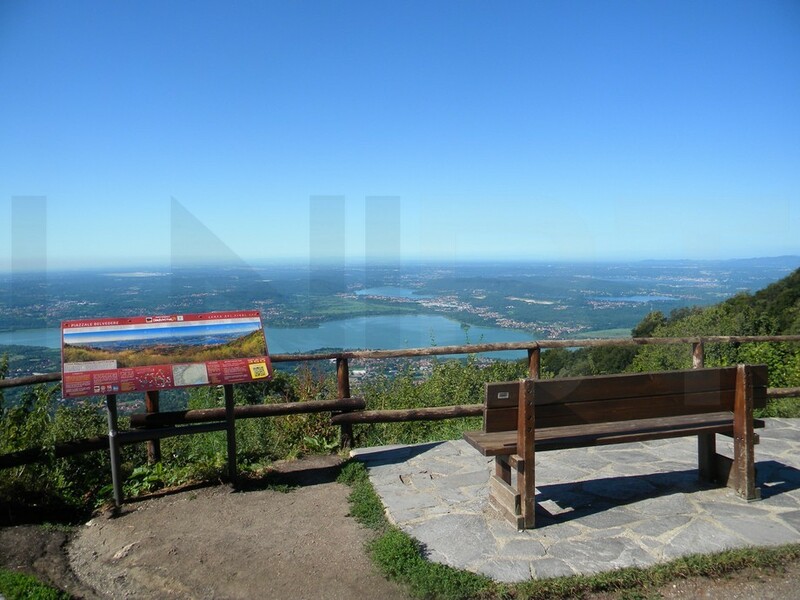 Lake Varese as seen from the summit of Monte Campo dei Fiori. In the distance you can see two smaller lakes (Lake Comabbio on the left - Lake Monate on the right) and Lake Maggiore in the higher part at the right side of the photo. Monte Cuvignone and Alps in the distance from the summit of Monte Campo dei Fiori. 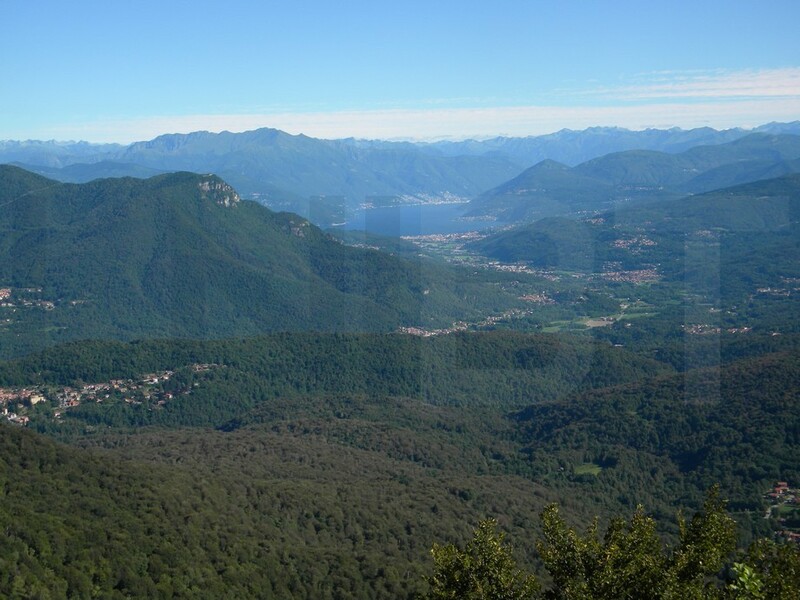 Lake Maggiore and Alps in the distance from the summit of Monte Campo dei Fiori. You can see Monte Cuvignone and Monte San Martino in the central part of the photo. You can see the town of Luino on the shores of lake. Nestled in the heart of Lombardy and in the foothills of the Swiss-Italian Pre-Alps, Varese provide the perfect launchpad from which to explore the best lakeside riding and the mountainous back roads in between. This area is rich in cycling routes. A few roads aren’t marked on maps as they’re inaccessible to traffic, but fortunately we have local guides on hand who know the area intimately, so a part of the rides are on roads through quiet woodland. 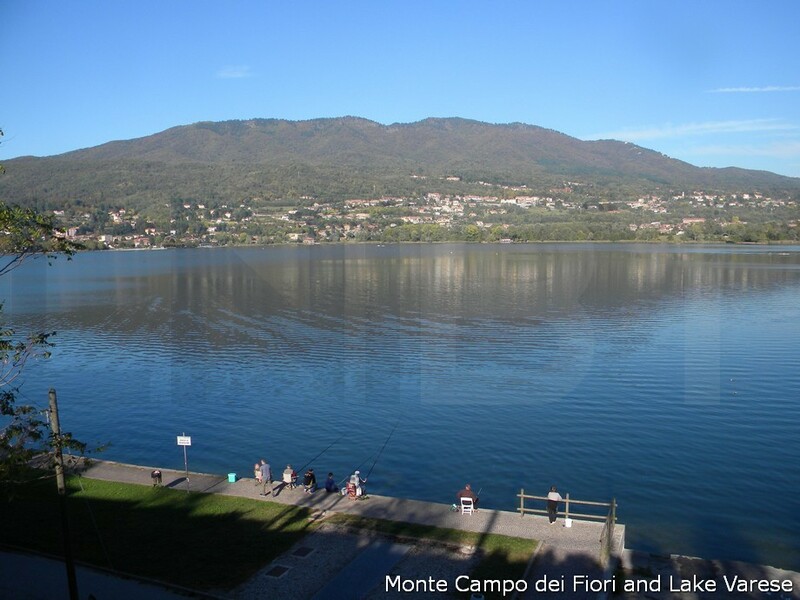 The Regional Park of Monte Campo dei Fiori overlooks the Prealps around the town of Varese. 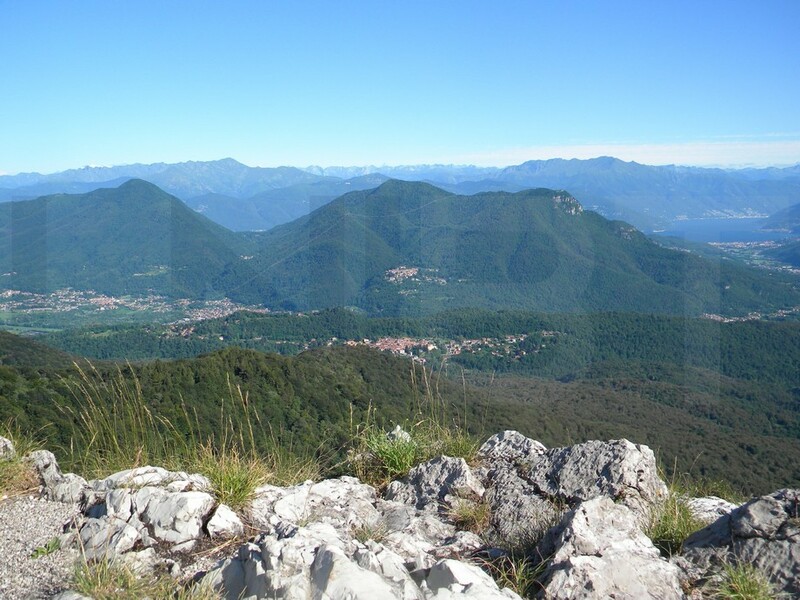 It includes two important mountains, Monte Campo dei Fiori (1,200 mt – 3,937 ft a.s.l.) and Monte Martica (1,030 mt - 3,379 ft a.s.l. ), which are separated by Valley Rasa and by Brinzio village. The park houses the Sacro Monte di Varese (880 mt – 2,887 ft a.s.l.) and the Natural Sciences Village which hosts the Astronomical Observatory, the Prealpine Geopysical Centre with its Weather Stations and Seismological Observatory and the Botanical Garden. The entire park is easy to explore through its trails marked by signs offering clear information. It's possible to meet foxes, boars, squirrels, hares, beech-martens, badgers and dormice. Fallow deers and roe deers can be spotted. The forests of the park are home to a fine variety of both nesting raptors as black kite, pennacchiolo hawk, buzzard, sparrow hawk, goshawk, peregrine falcon and migrating birds as toed eagle, marsh harrier. The Sacro Monte di Varese is one of the most extensive and the most representative Marian itineraries in Italy. This symbol of spirituality and popular worship twists and turns along a ridge that starts in Varese. The religious path, which is on the list of UNESCO Worldwide Heritage sites, was constructed between 1604 and 1680. It is composed of fourteen chapels dedicated to the Mysteries of the Rosary. It starts from the locality known as Prima Cappella easly reached by bus from the centre of Varese. It's cobbled path, it's two kilometres long and climbs up about 300 metres. The Santuary of Santa Maria del Monte is the fifteenth stage of the religious path. The Monastery where the Romite Ambrosiane nuns live is located close to the Santuary. They are seclusion nuns who dedicate their own life to worshipping God and to manual labour.